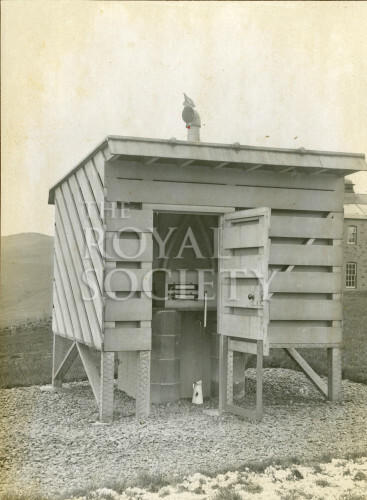 Exterior view captioned ‘Thermograph shed’. A raised wooden shed with the instruments visible through its open door. These are photographically recording wet and dry bulb thermographs.